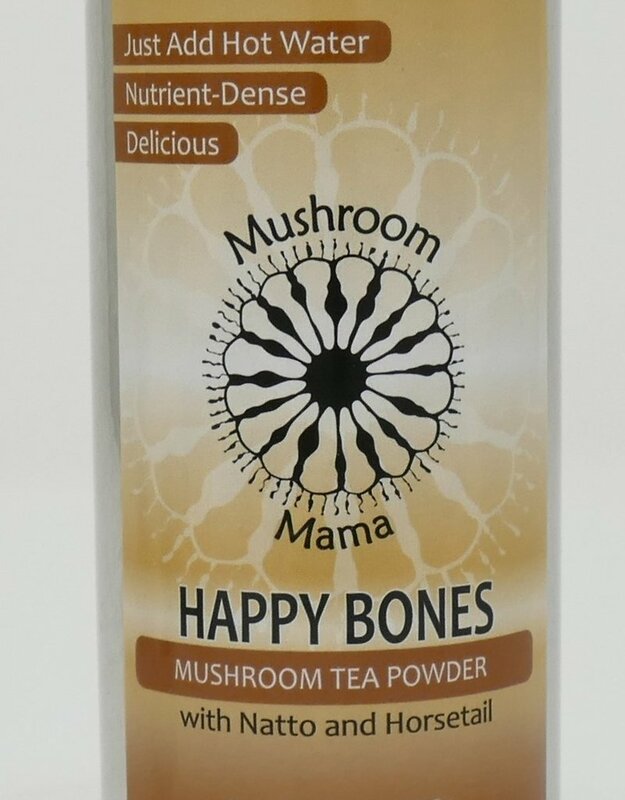 Happy Bones artfully blends chaga, which increases the body's immune response and provides powerful antioxidant protection, while cordyceps is useful in alleviating fatigue while enhancing mental acuity. 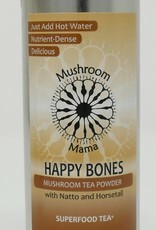 Maitake is known to assist the immune system, regulate blood pressure and cholesterol levels. Reishi and shiitake enhance heart health and have been shown to improve a compromised immune system. Natto supports stronger bones and is a good source of probiotics, with horsetail combined to also help strengthen the bones and provide strong anti-bacterial and antiseptic properties. 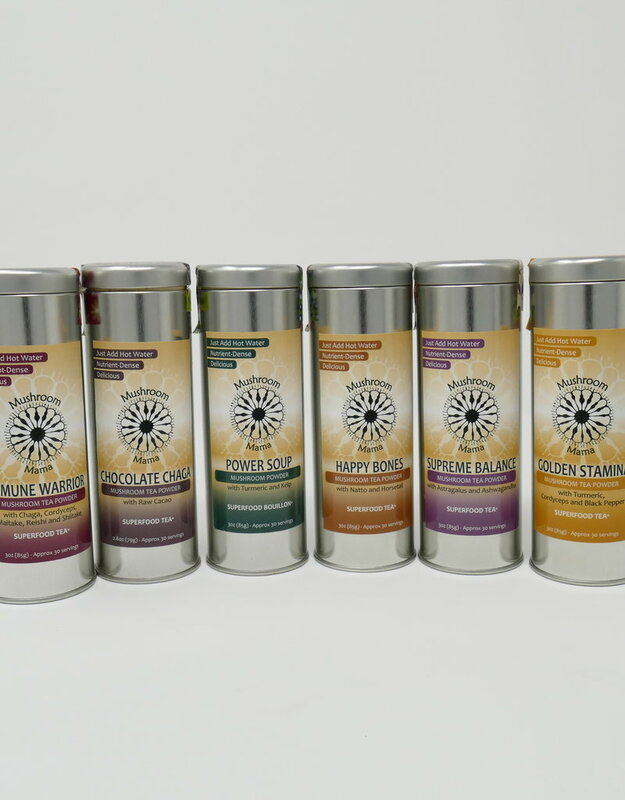 And finally cinnamon which has the highest anti-oxidant strength of all foods in nature for healthy circulation along with vanilla bean powder to reduce inflammation and boost your mood.